Virtual hospitals: the new reality? Mark Van Houdenhoven has been Chair of the Board of Directors (CEO) at the Sint Maartenskliniek since 2014, a specialized hospital for posture and movement. Since 2016, he is professor in Economic Management in Healthcare appointed at the Nijmegen School of Management at the Radboud University. 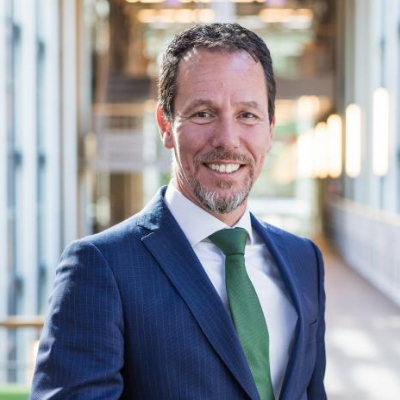 Previously, he has held positions as a Board Member of the Haga Hospital in The Hague and the Beatrix hospital in Gorinchem, and various managerial positions for other healthcare organizations in the Netherlands. His academic background is focused on social security issues, public finance and healthcare. In 2007 he received his PhD on his thesis: "Healthcare Logistics: The Art of Balance".